It’s always good practice to display a bit of caution concerning what we consume on a daily basis. Foodborne illness or poisoning is a very real possibility if proper care is not taken, but this culture of caution has also given rise to a few more dubious claims; claims that many people believe whole-heartedly. Today, we will take a look at some of the more prevalent food safety myths in the home, and shine a little light where needed. While it is true that most reported cases of food poisoning will subside after a few days of stomach-churning misery, this is unfortunately not always the case. The many types of bacteria responsible for causing foodborne illnesses can also lead to more serious long-term health effects if not properly diagnosed and treated. For example, some kinds of E. coli bacteria can lead to haemolytic-uremic syndrome (HUS), which destroys red blood cells and can lead to kidney failure; Shigella and Salmonella have both been linked to joint pain and chronic arthritis; while a Listeria infection can progress onto meningitis, as well as brain and nerve damage. Fatalities as a direct result of food poisoning are comparatively rare, but they do happen, with around 3,000 cases per year being reported in the United States alone. Of these unfortunate deaths, approximately 88% of cases in which the cause is known have been attributed to 5 specific forms of bacteria; Salmonella, Toxoplasma, Listeria, Norovirus, and Campylobacter. While it is true that freezing food items will substantially impair the bacteria’s ability to multiply, to assert that the process of freezing will actually kill said bacteria is a potentially dangerous inaccuracy. Many forms of bacteria are perfectly able to survive at freezing temperatures, albeit often in a semi-dormant state. It is, however, by no means gone. As the food defrosts, the bacteria once again become active and begin to multiply. As such, it is vital that you ensure that all food, even previously frozen food, is cooked to the proper internal temperature. 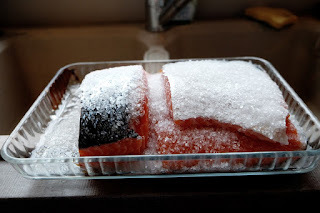 Use a thermometer to check the internal temperature before serving. There are many different forms of bacteria, and each of them has their own unique set of traits and attributed effects. The bacteria commonly associated with food poisoning, for example, don’t tend to affect the look, smell or taste of the food in question. When a food item has clearly ‘gone-off’, the bacteria responsible are of an entirely different strain. In fact, these bacteria are typically unlikely to cause illness. In order to judge whether something is still safe to eat, refer to the ‘use by’ date. The ‘use by’ date should always be adhered to; unlike the ‘best before’ date which relates to food quality, the ‘use-by’ date is all about safety and should never be ignored. Refrigerated leftovers should be disposed of after 3-4 days. 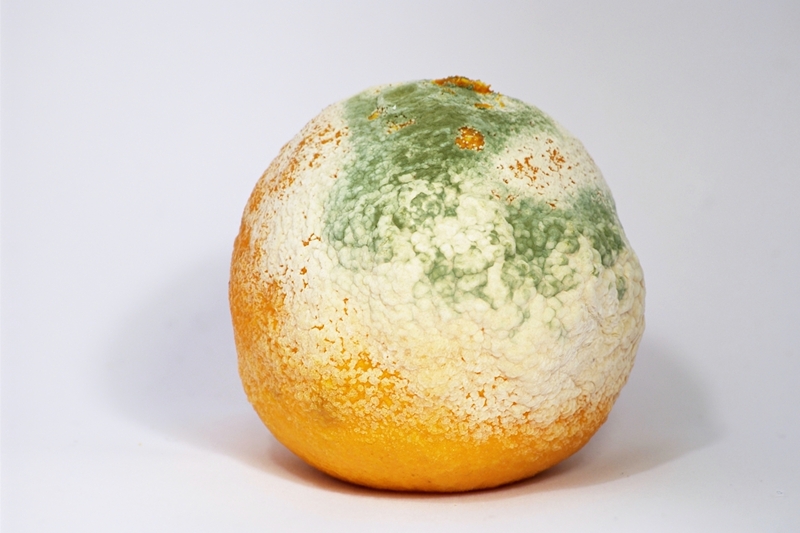 While the peel, or rind, of fruits and vegetables acts somewhat like nature’s own packaging, protecting the food inside from bacteria and scavenging wildlife, as soon as it is removed there is a very real risk of contamination. In the act of peeling you will always handle both the rind and the fruit itself, so bacteria is easily transferred. When cutting larger fruits the knife will also carry bacteria through to the inner layer, and the rind often comes into contact with the edible portion when arranged for serving. In order to reduce the risk of illness, all fresh fruit and veg should be properly washed, unless contained in sealed packaging which specifically states that this has already been done. While this particular ‘myth’ does stand up to scrutiny in certain circumstances, it is far from being the ‘golden rule’ it is treated as, and in fact depends purely on how exactly the food in question was thawed. Any food thawed outside of the refrigerator, for example by microwave or submersion in cool water, should be cooked immediately. Raw or part-cooked food thawed outside of the refrigerator should never be refrozen. However, if raw food items such as meat, eggs or poultry are thawed inside the refrigerator then they may be safely refrozen for later use. 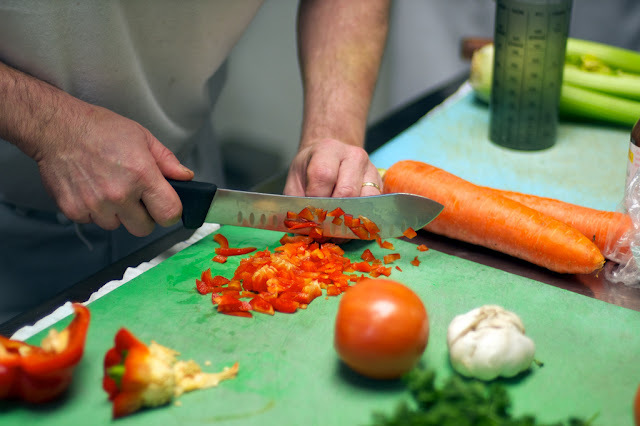 Regardless of the material used to make your chopping board, be it plastic, glass, granite or wood, they can all hold harmful bacteria upon the surface. Ensuring that you properly clean and sanitise your chopping board after each use is a must, lest you fall victim to a nasty illness. In terms of cleaning, wooden boards do however have on major downside; wood laminates don’t tend to cope very well with dishwashers. Because of this fact many people opt for other materials simply for ease-of-use, but so long as it is properly cleaned a wooden board is no bigger risk than a plastic one. As it turns out, people have got this one completely backwards. The logic seems rational at first glance; surely, by removing the juices, the bacteria will follow suit? Well, there is a little bit of truth in that statement, but therein lies the problem. 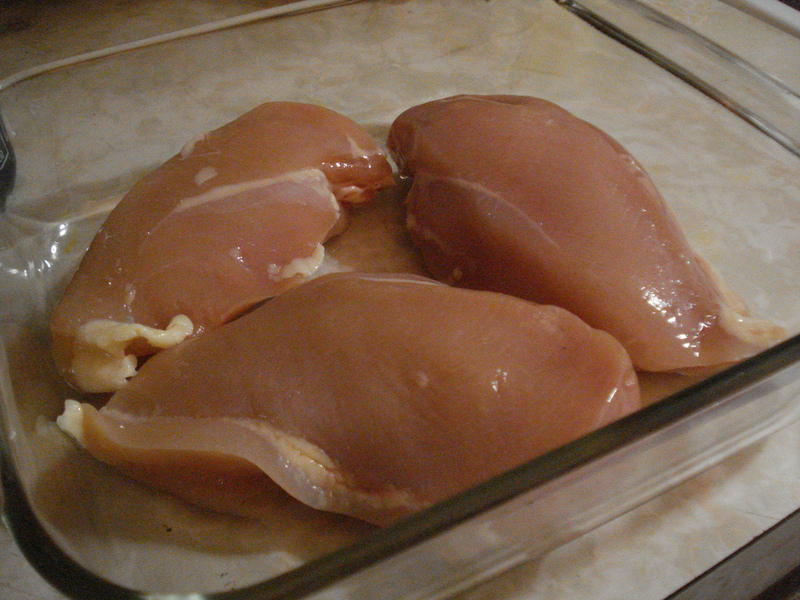 The only safe and effective way to kill the bacteria present in raw meat and poultry is by cooking to a safe internal temperature (for chicken, this is 165°F). By ‘rinsing away’ the juices, all you are actually doing is splashing them around your kitchen sink and surfaces, thereby increasing the risk of cross-contamination leading to foodborne illness. Rinsing meat, poultry or seafood can in no way improve the safety of the food in question, so skip this step entirely. While most reported cases of food poisoning are caused by the ingestion of improperly cooked or prepared meat or poultry, there is a reason you are advised to thoroughly wash all fresh fruit and veg. After all, they have just spent however many months sat growing in a dirty field, so avoiding any and all bacteria isn’t really a possibility. They may also pick up dangerous bacteria from other sources during the harvest, packaging, transportation or storage processes, which can cause foodborne illness. The advice here is simple: always, always properly wash fruit and veg. As stated previously, this is true even if you are planning to peel it. 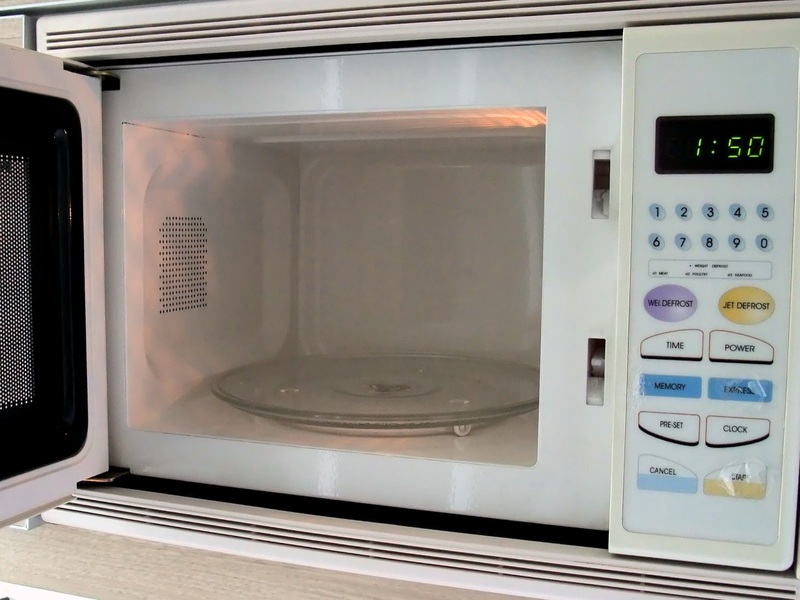 Many people choose to ignore the stated ‘standing time’ on microwaveable meals, incorrectly believing it to be related to the prevention of burns, but it is actually an important part of the cooking process itself. 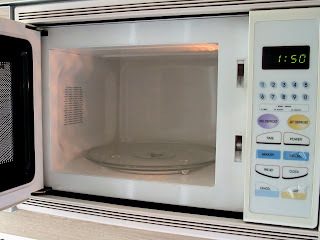 Foods with irregular shapes or varying thickness will often cook unevenly in a microwave, even if the microwaved used is equipped with a turntable to better distribute the heat. The standing time allows for the colder areas to absorb heat from the hotter areas in order to finish cooking. If you don’t let your meal stand for a few minutes you could end up with cold spots spread throughout the food; these cold spots can harbour dangerous bacteria that have not yet reached a high enough temperature to be killed off. Generally, unless the surface has been very recently sanitised, the dropped food item should be thrown away. The most worrying aspect of this myth is that it is often recited to children, who take the idea to heart and can end up seriously ill as a result.